Air China has dropped the price of their flights from Vancouver to Singapore down to $458 CAD roundtrip including taxes. However, the flights have a long layover in Beijing, China each way, for 8 hours on the way there, and 9 hours on the way home. NOTE: For longer trips you can try mixing and matching the dates from different lines in the list below. vancouver, yvr, flight deals, asia, southeast asia, air china, singapore and sin. 2 Responses to "Vancouver to Singapore - $458 CAD roundtrip including taxes | but long layovers"
Went to Singapore for a week recently - was really boring. The above dates of 1-2 weeks are too much for a place so small. 2-3 days are more than enough to see the highlights there. Perhaps a visit to nearby Malaysia or Indonesia added on during the week-long or two week period vacation is better. Yes, you can get pretty much anywhere in SE Asia from Singapore for a low price. 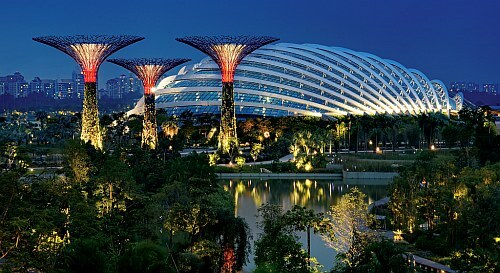 Just book a separate roundtrip flight and visit Singapore on each end.